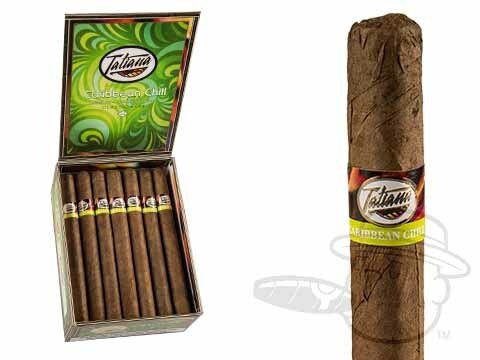 Tatiana Cigars are some of the best-selling flavored cigars in the world. 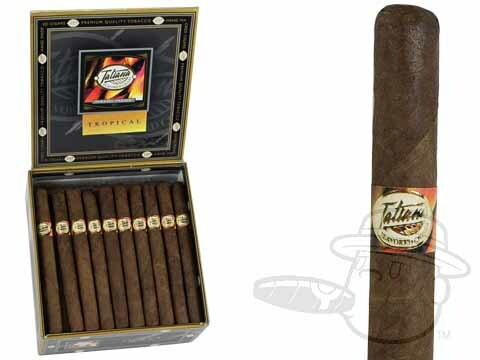 They feature a hand-rolled premium blend of aged tobaccos grown in the Dominican Republic. 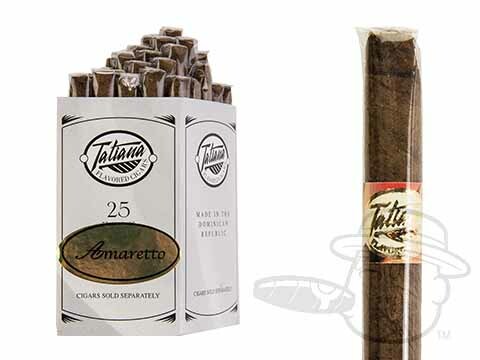 These cigars provide a smooth and mellow-bodied smoking experience, due to aging the tobacco for two years in the manufacturing process. 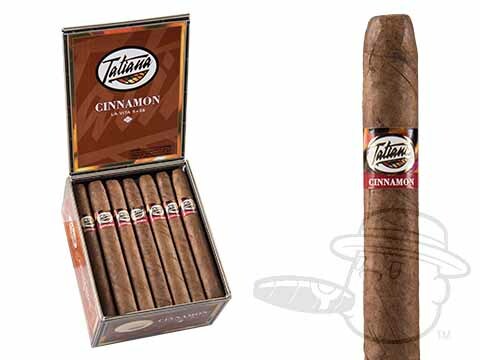 Tatiana cigars are available in flavors such as chocolate, vanilla, honey, cinnamon, mocha, cherry, and more. 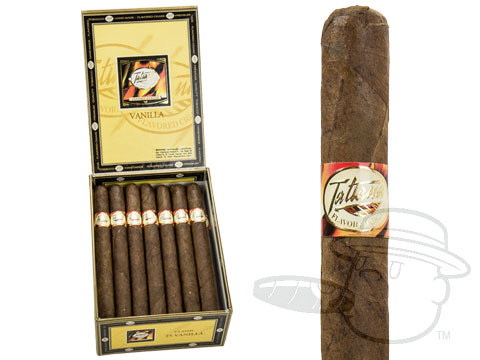 For smokers looking for a variety pack, the Tatiana Assortment Sampler is a great option, as it offers seven of Tatiana’s top flavors. 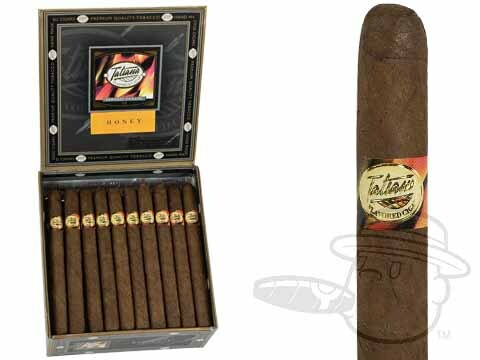 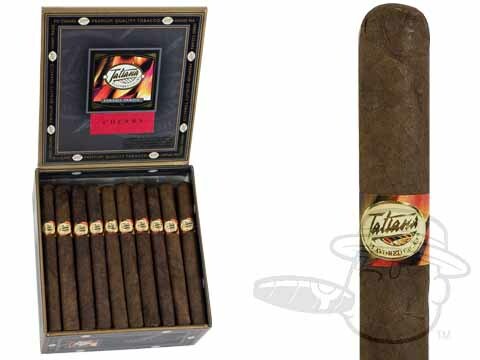 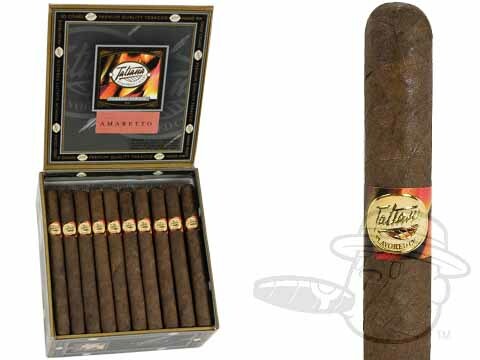 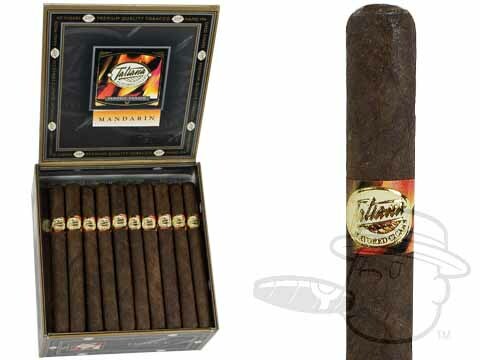 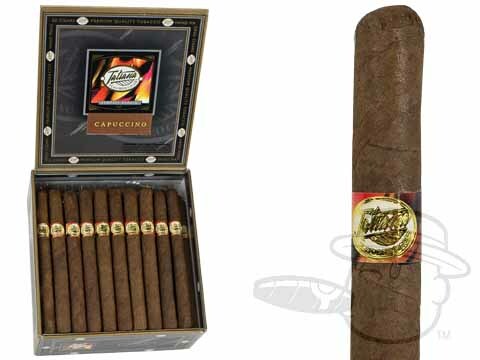 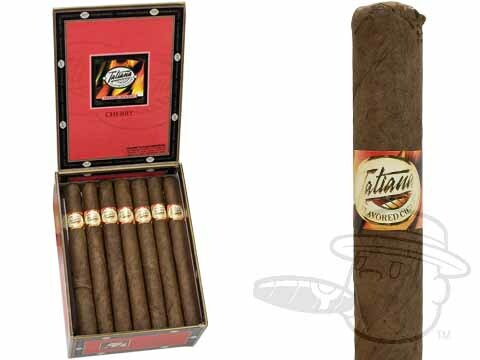 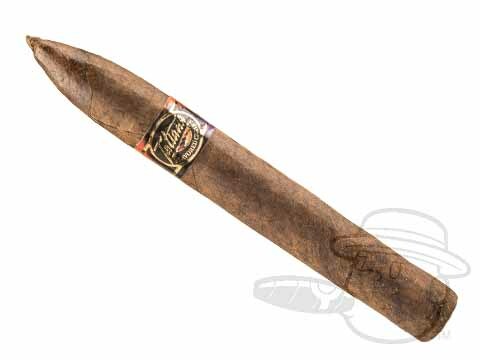 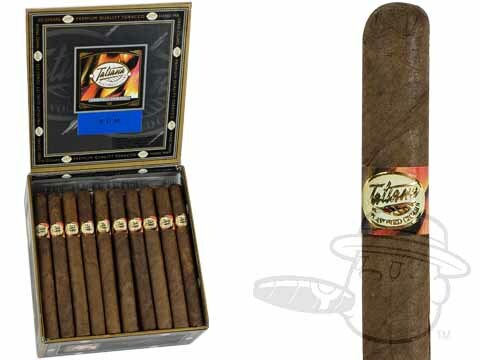 Find cigars from Tatiana Cigars from Best Cigar Prices at the lowest prices. 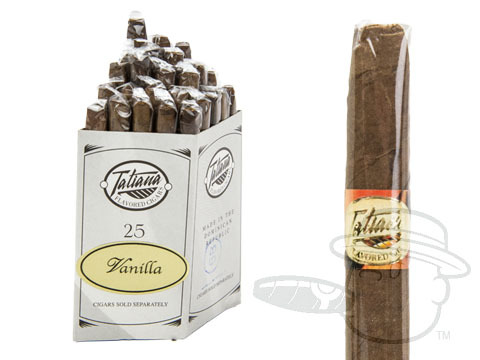 Each of the Tatiana flavored cigars is handmade in the Dominican Republic using a smooth blend of Cuban-seed tobaccos blanketed in a carefully-selected Indonesian wrapper. 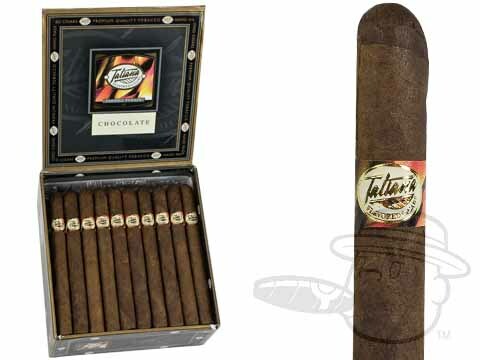 This mellow blend is perfect for capturing the rich essence of Tatiana’s exciting flavor infusions. 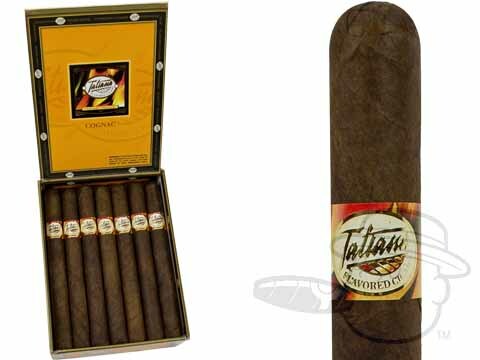 Without this essential tobacco recipe, the world would never know the amazing taste of Tatiana Groovy Blue, Mocha, Vanilla, or any of Tatiana’s other celebrated blends. 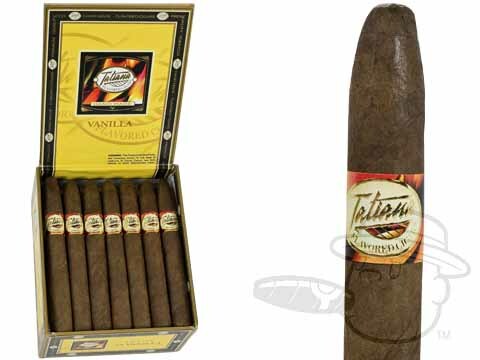 Tatiana Vanilla is a creamy smoke with awesome vanilla flavor and aroma, and is the best-selling of all our Tatiana cigars. 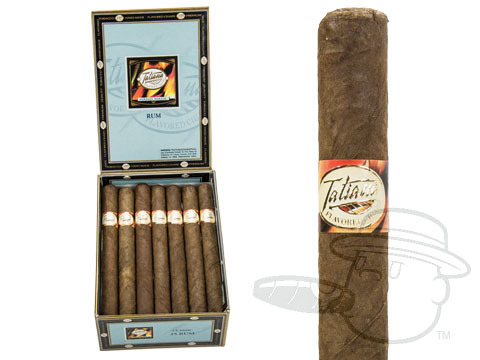 Tatiana cigars Cherry blend is mellow and silky with sweet flavor and an aroma of freshly picked cherries. 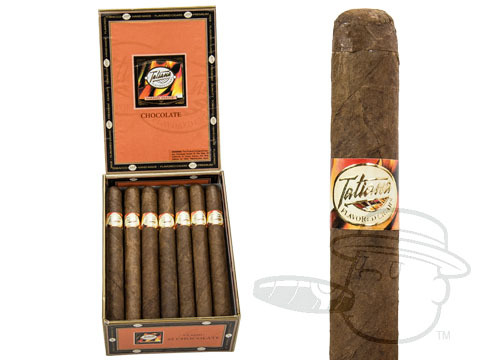 Tatiana Chocolate delivers smooth tobacco taste with hints of creamy milk chocolate. 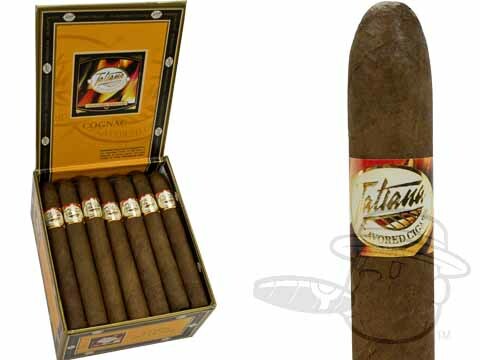 Tatiana Cognac brings you the taste of Top-shelf Cognac with hints of almond and caramel for a wonderfully flavorful and well-rounded smoke. 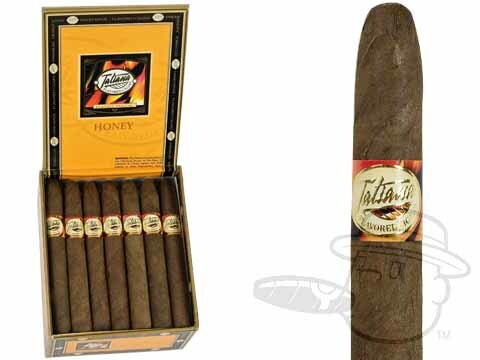 Tatiana Honey is pleasingly aromatic with the taste of sweet, tangy honey. 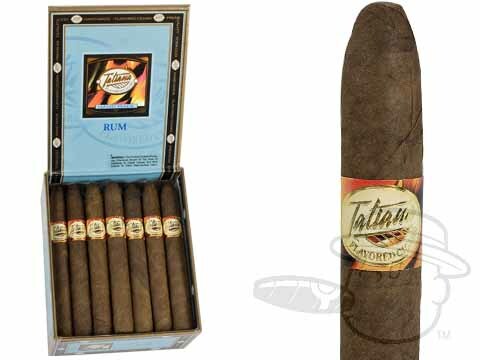 Tatiana Rum is a mellow smoke with savory Rum taste, complete with spice and molasses notes. 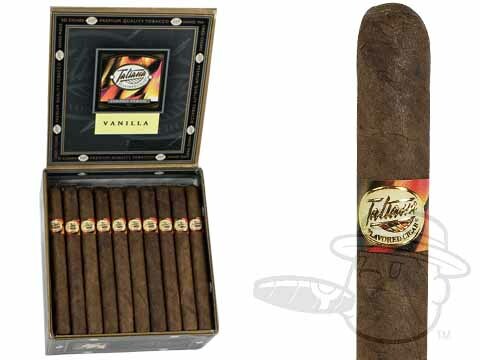 Tatiana Waking Dream is flavored with vanilla crème, Piedmont hazelnuts and single malt whiskey, making it the perfect sweet after-dinner smoke. 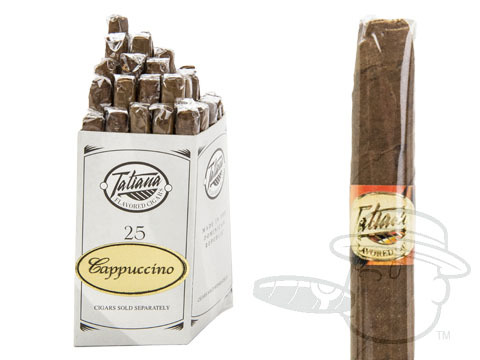 Tatiana Sweet Euphoria is a unique and aromatic blend infused with essences of German chocolate, Acacia honey, and sweet fruit. 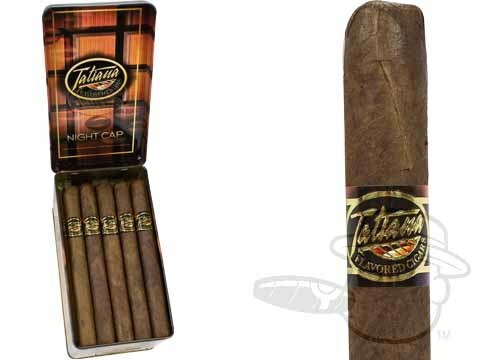 Tatiana Night Cap was blended with coffee drinkers in mind. 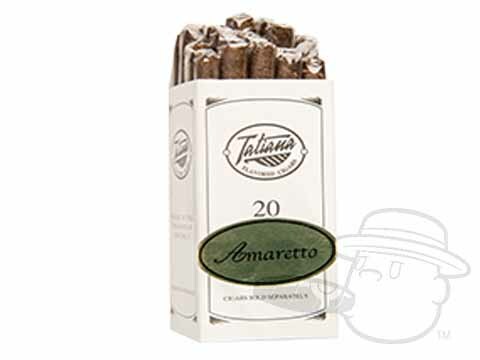 Each is flavored with vanilla, Marcona almonds, Arabica coffee, and rare Criollo cocoa. 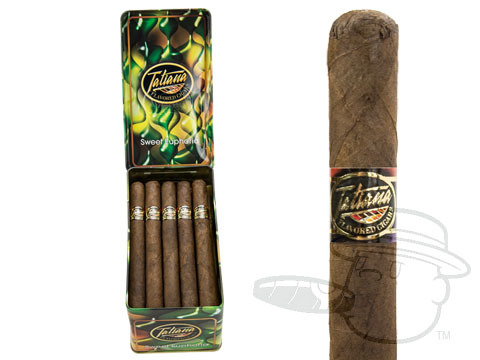 Tatiana Fusion Frenzy is a one-of-a-kind aromatic infused cigar seasoned with rich essences of cognac, Madagascar vanilla, passion fruit, and sweet, natural fruit flavors. 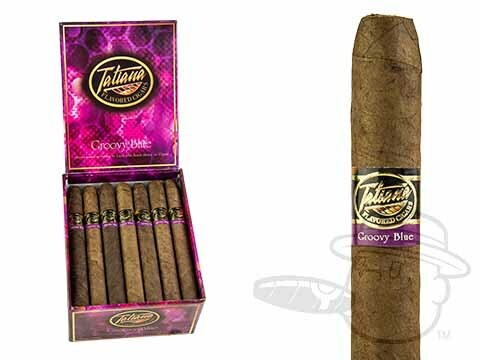 Tatiana Groovy Blue is a complex, candy-sweet smoke that’s perfect for any time of the day. 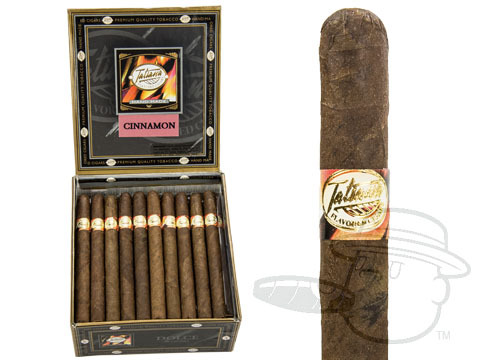 Each is flavored with Black Amboise raspberries, vanilla, acacia honey, and cognac extracts. 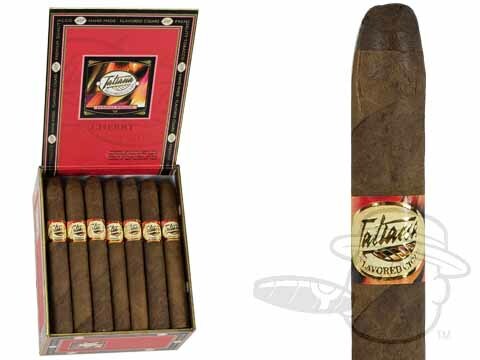 Tatiana cigars are often on sale and tagged with free shipping. 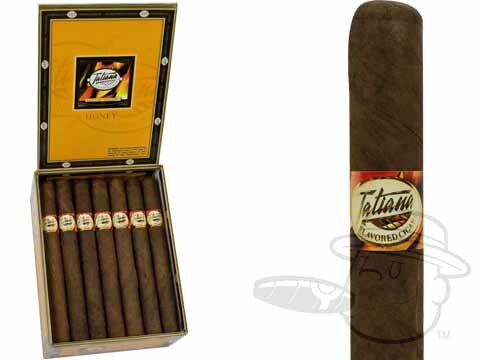 Get your Tatiana flavored cigars online at the lowest prices right here at BCP.